Our award recipients set the standard for community involvement. Their active involvement makes our community stronger. We salute them and are honored by their contributions. Established in 1984, the Peter and Ginny Ueberroth Family Foundation reflects its founders’ lifelong commitment to giving back. Since they married in 1959, volunteering and staying involved in causes meaningful to them has been an important part of Peter and Ginny’s lives. After the successful conclusion to the 1984 Los Angeles Olympic Games, they decided to create a foundation to formalize their philanthropy. Peter was named TIME Magazine Man of the Year in 1984. The foundation was funded through the many speaking requests that followed. Granting has been targeted locally and in the areas of at-risk youth, education, health and human services. 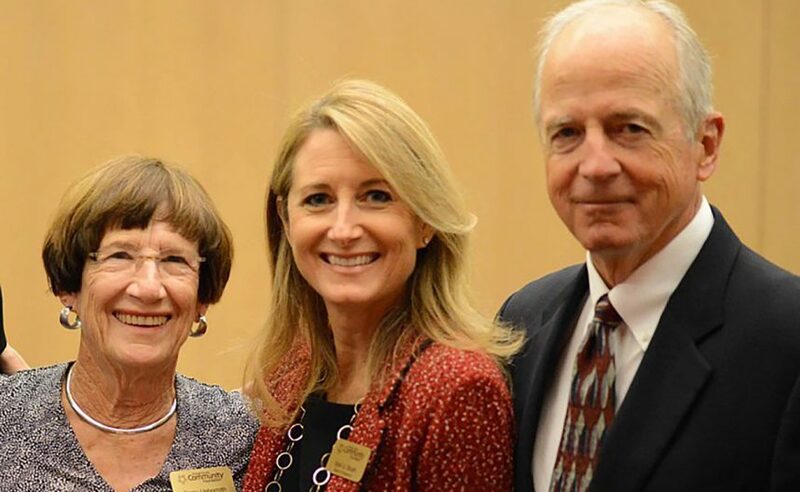 Ginny and Vicki Booth, their daughter, have been deeply involved in the community, serving in leadership roles on the boards of the Orange County Community Foundation, Hoag Hospital and Sage Hill School. The Foundation partners with over 70 local non-profits and has invested over $40 million in Orange County. Peter and Ginny’s commitment to giving back and helping others is an inspiration that continues with the second and third generations of their family. Having arrived in Los Angeles from Shanghai in 1980 with $20 and his clarinet in hopes of becoming a professional musician, Charles (Charlie) Zhang’s dream soon ended with an injury to his hand. Working and saving soon saw him buying his first Chinese restaurant, with the result, years later, of selling his 100-store company, Pick Up Stix, in 2001. 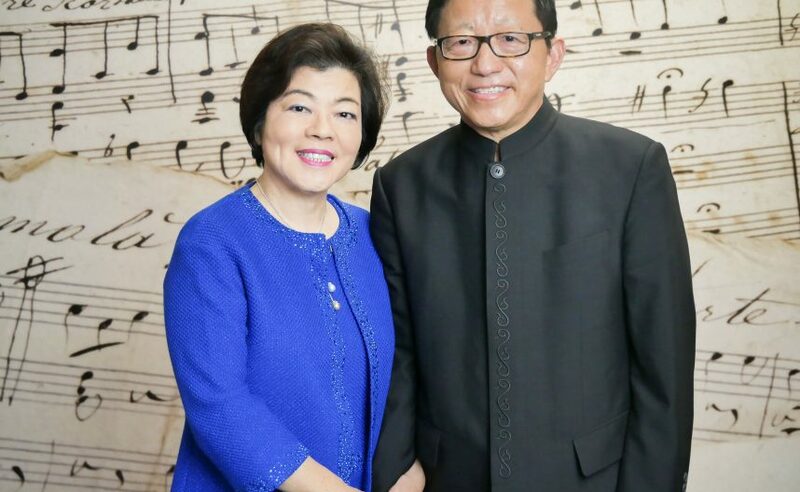 Having met his wife at Pick Up Stix where she was CFO – Ling immigrated from Taiwan in 1978 – the two continued their success in business and real estate. They have devoted decades of time and treasure to numerous Orange County nonprofits, including Pacific Symphony, Bowers Museum, Concordia University and their church. In 2016, they established Orange County Music & Dance to provide a world-class, nonprofit performing arts school committed to allowing children to follow their passion in the arts, regardless of their financial circumstances or other challenges. Among the many honors accorded Charlie is the prestigious Ellis Island Medal of Honor, bestowed on those who have made a significant contribution to the U.S. Founded in 1995, the Orange County Bar Association Charitable Fund is the philanthropic arm of the Orange County Bar Association (“OCBA”). The Charitable Fund is dedicated to bettering the Orange County community and legal profession by facilitating equal access to justice. Through its annual grant giving program, the OCBA Charitable Fund proudly supports the Veterans Legal Institute in its mission to provide services to veterans facing a number of legal issues. Additionally, over the last decade, the Charitable Fund has provided over $1.2 million in grants to law-related charities in Orange County. These grants have increased public access to critically needed services, including domestic violence related advocacy programs, legal services for low-income residents of Orange County and foster youth, diversity pipe-line efforts, and assistance for homeless residents. Additional projects have supported child abuse prevention, expanded access to legal education, and services for the immigrant community throughout Orange County. 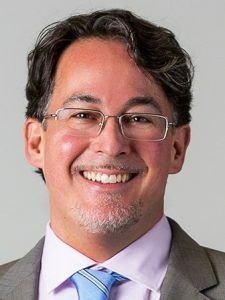 Joe Hanauer, as principal of Combined Investments, LLC, directs investments in real estate and related businesses. Outside of work, he gives his expertise and treasure to the following nonprofits: Laguna Playhouse, where fiscal discipline was strengthened and positive financial results achieved under his leadership as immediate past board chair and current chair of the governance and nominating committee, with the Playhouse experiencing rave reviews and ticket sales increasing each year; Laguna Beach Live! Joe serves on its board and works with the president in strategic planning to provide quality live music accessible to everyone; Mission Hospital, longtime member of foundation board, targeting potential donors and involved in strengthening linkage between Mission Laguna and the city leadership; IHC Global, board chair for nonprofit focused on inclusive housing and sustainable cities, procuring significant funding for the organization; Roosevelt University, life trustee, having served on various committees and aided in strategic planning; Reaume Foundation, on the board and investment committee that provides grants to organizations involved in delivering international real estate education. Michelle Wulfestieg understands just how precious life is. A two-time stroke survivor, whose first brush with death came at age 11, Michelle is dedicated to hospice. With the heart of a servant leader, and as founder of Southern California Hospice Foundation (SCHF), she supports terminally ill patients on their final journey. To supplement traditional hospice care, SCHF provides indispensable services such as buying groceries and paying overdue bills for families in need, but also grants spectacular final wishes. Even celebrities such as Oprah Winfrey and Harrison Ford just can’t say no to Michelle’s persuasive powers. She also educates the public about hospice. Looking ahead, Michelle just launched a capital campaign to open a live-in residential care home in Orange County for those at the end-of-life. Michelle, who shares her own remarkable life story in an award-winning memoir, All We Have Is Today: A Story of Discovering Purpose, hosts bereavement workshops at Mariners Church and is a member of Women of Chapman, in support of Dodge College of Film and Media Arts at Chapman University. 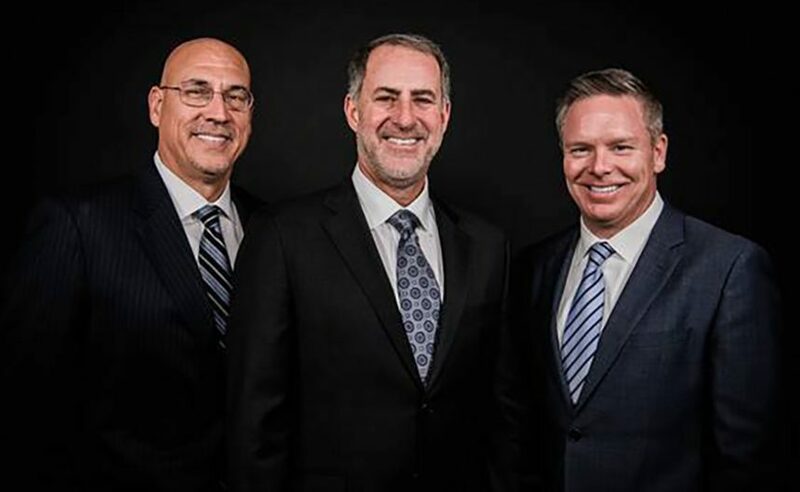 Shulman Hodges & Bastian LLP is a full service business law firm based in Irvine, California. Their success as a law firm has enabled them to give back to the community in numerous ways with their time, talent and resources, not just by writing checks but by volunteering and providing pro bono legal services to many nonprofits. SHB members also regularly serve on committees and boards of the organizations they support. 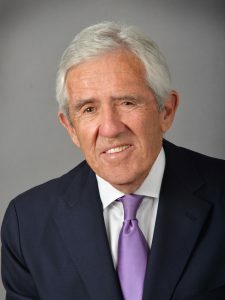 Len Shulman served for several years on the board of Pediatric Cancer Research Foundation and also as its chairman. 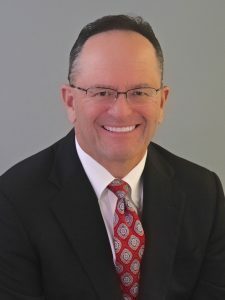 Ron Hodges serves on the board for Loyola Marymount and Law School, helping raise and steer funds to support various educational needs. 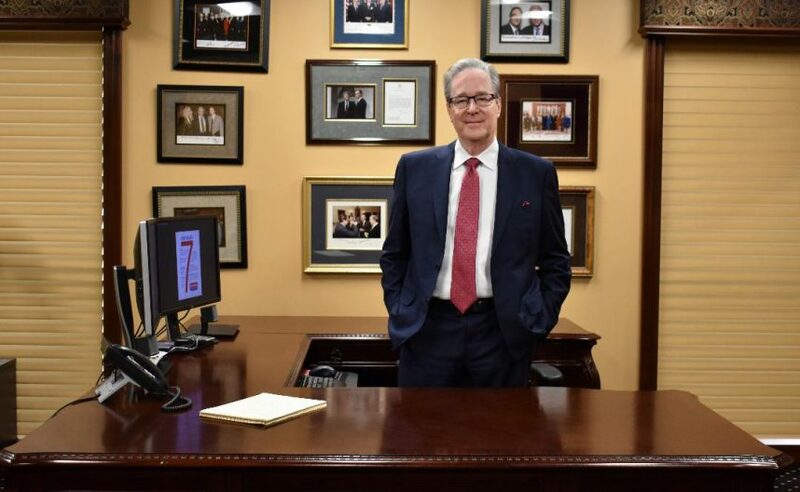 Jim Bastian is the immediate past chair of the Mission Hospital Foundation, current chair of the Mission Hospital Golf Classic, chairman of the board of Lion’s Heart and co-chair with his wife Jen for the upcoming American Heart Association’s Go Red For Women luncheon. Many other nonprofits are recipients of the company’s generosity. Founded by Leland Smith in 2000, Service Champions Heating & Air Conditioning remains family-owned and operated with more than 200 employees. Known for its exceptional customer service, the company’s Good Deeds for FreeSM program has grown from helping customers to helping community members and organizations in need, from partnering with organizations to helping veterans furnish their homes to providing turkey dinners to families for Thanksgiving to providing heating and air conditioning installations. Other charitable giving includes Autism Speaks Orange County, as its presenting walk sponsor for eight years running, Make-A-Wish Orange County, as an annual sponsor for its Adopt-A-Wish program, and supporting the Brea School District through sponsoring classes, donating school supplies and supporting sports teams and programs. MOMS Orange County, part of the Good Deeds for FreeSM program, has received a monetary gift as well as items for children. The company’s ambassadors participated in the Mommy, Daddy & Me class and provided gifts for all the participants. The company also contributed to the Adopt-A-Family program during the holidays. Bank of America was founded in California more than 100 years ago on the principle of giving back, and today has made this a key part of its approach to responsible growth. The bank’s strategy for giving goes beyond philanthropic capital to providing pro bono expertise and empowering its employees to volunteer locally in their communities. In Orange County, Bank of America awarded $1.2 million in grants to local nonprofits in 2017 and offers its 4,800 employees two hours of paid time off every week to volunteer with local charities and causes, totaling 46,000 volunteer hours in 2017 alone. The bank invests in the development of nonprofit leaders through its Neighborhood Builder program and the next generation of leaders through its Student Leader program. It is also very committed to delivering a financial education through its Better Money Habits curriculum and certified volunteers. All these efforts helped Bank of America become #2 of 50 companies in Fortune’s most recent list of Best Workplaces for Giving Back. “We work with local nonprofits to bring economic stability to individuals and communities based on a model of shared success, which means we are not successful until our communities are successful.” – Allen Staff, Orange County market president, Bank of America. Not only is Lauren Best smart (her cumulative GPA is 4.57), but she has a great heart for helping others. 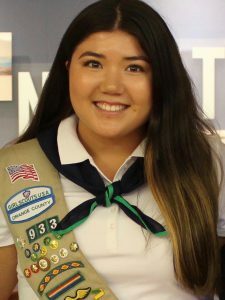 Best, 18, a recent graduate of Sonora High School in La Habra and current USC student studying social psychology, created a curriculum through her Girl Scout Gold Award Project working with special needs teachers to teach social skills to special needs students. She also trained 100 regular education students as mentors for the students and planned a dance, which included 200 mentors and special needs students from Sonora and a neighboring high school. Best also founded one of the only Girl Scout Troops for students with special needs in Southern California. 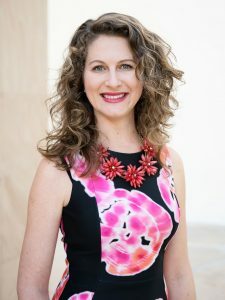 As president of Sonora’s Best Bets Club for two years, she encouraged students to work with special needs kids, and her Girl Scout Silver Award Project developed a workshop for 40 younger scouts to bring awareness to the problem of global human trafficking. For her work, she was honored by KABC-TV as a Cool Kid and won a Be Inspired Grant from Disney/Youth Service America.